This time the beach short is themed by season :) here is the sneak a peek! Guess what season inspiring this pants? The pants price is at RM 28.00! and we do have other collection from other seasonal design for your choices! Men's do not worried, we do have new seasonal themed pants for you! Air New Zealand's Skycouch converts a row of three seats into a bed with the touch of a button. 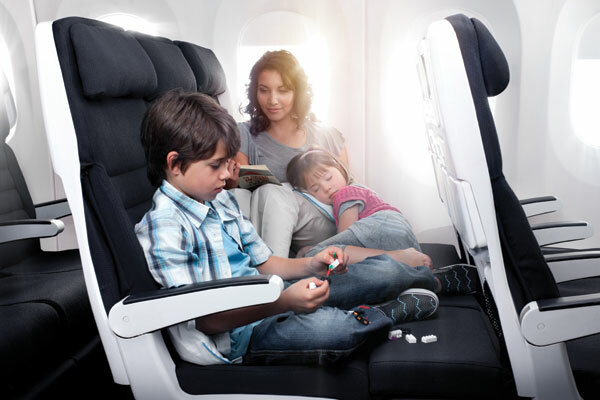 Two passengers can snuggle horizontally, leaning against the wall or lying flat. Pay a standard fare for each seat, and the third shared berth is half price. To get the "cuddle class" experience, travelers need to buy a third seat at half off, typically an extra $500 to $800 for an overnight flight—almost certainly less than the cost of upgrading two coach seats to first class. And while about half the buyers so far have been couples, families traveling with small children have happily been opting for the upgrade, too. Funniest Airline: Kulula AirlinesThe bright-green planes are painted with "This Way Up" signs or instructional diagrams pointing out the location of the landing gear, the loo, and the co-captain (labeled, "the other pilot on the PA system"). Then there's the in-flight banter, with gems like, "If you don't like our service, we have six emergency exits," and "Cabin crew is coming down the aisle to make sure that your seat belts are on and your shoes match your outfit." Most Irresistible Budget-Conscious Airline: RyanairRyanair commit enough acts of random irritation to upset even a Zen Buddhist. The skinflint airline charges a fee of about $10 to charge tickets to an American credit card, a fee to check in either online or at the airport, and a fee of about $16 to sit in an exit row seat. Once onboard, the hassles continue. The seatbacks don't have pockets; the airline instead prints the emergency instructions on the backs of the seats themselves. During a flight, Ryanair crew members constantly hawk snacks, lottery tickets, and smokeless cigarettes. (For a full list of the airline's sins, see ihateryanair.org.) Yet despite it all, Ryanair remains one of Europe's most-flown carriers. Sure, people may love to hate it, but few budget-conscious travelers seem able to resist its siren song of low fares. Best Major U.S. Airline for Baggage Handling: DeltaIf you've ever thought you were singularly cursed with bad luggage luck, think again: A whopping 42 million bags (on average) are misplaced by airlines worldwide each year. Then, book your next flight on Delta, which had the best baggage-handling record among its peers (that is, the half-dozen largest US airlines) for 2011. Delta had 2.66 reports of mishandled baggage per 1,000 passengers flown last year—an impressive feat, given the airline's complex itineraries. Delta also raised the bar by adding a baggage-tracking tool to its free app for iPhone and Android (as well as to its website, delta.com, for those without smartphones). The app is the first from any airline to allow passengers to enter the number on a bag tag receipt—iPhone users can scan the barcode by snapping a photo of the tag—and watch a bag's journey from departure to arrival, all the way down to its exact claim carousel. If a bag is delayed, the owner can even check the bag's status using a reference number. It's no replacement for a waylaid vacation wardrobe, but it's certainly better than just wondering. The advent of the superjumbo jet changed the game for aircraft-interior designers, and no one pushed the new boundaries—both in literal and figurative terms—quite like Emirates airlines. Not content to add cushier beds and more elaborate entertainment systems, the Dubai-based carrier was the first in the world to use that additional room on its A380s to install full-height shower stalls for its first-class passengers to freshen up mid-flight. On its Dubai-London route, for instance, Emirates has two snazzy walnut-and-marble "shower spas" to serve its 14 first-class passengers (one person at a time, please). Flying coach on Emirates has its own perks: Each seat reclines up to 120 degrees, comes with a power outlet, and has a 10-inch seatback TV screen with 1,200 channels of entertainment. Most Punctual Airline: All Nippon AirwaysForget the stereotype about German punctuality—Japanese carrier All Nippon Airways (ANA) has set the standard for getting planes to their destinations on schedule. According to a report from FlightStats, the airline landed nine out of 10 flights on time in 2011—the best performance of any international carrier last year—just edging out Japan Airlines International (JAL), the winner for the two previous years. Airlines with the Best In-Flight Economy-Class Meals: Thai Airways and Virgin AmericaThe ultimate proof that an airline's in-flight food soars above the competition? Given that today's fliers are grateful for any food being available at all on planes, we're pleased to see two airlines willing to better their catering games. Eco-Friendliest Airline: Nature Air You're going to love the windows on Nature Air's planes—and not just because the super-sized panels are roughly four times as large as the ones on the last jet you flew. No, the best part is what you see out of them: the astonishing views of the Costa Rican rainforest, which serve as a constant, vivid-green reminder of just what this regional airline is trying to protect. Of course, flying is never going to be a no-impact form of travel—at least not as we know it now—but Nature Air is wholly committed to reducing its harmful effects. Tech-Savviest Airline: Scandinavian AirlinesImagine checking in for your flight without needing a boarding pass or a barcode, in either print or electronic form. SAS (Scandinavian Airlines) allows just that. Most Experienced Airline: QantasIn the movie "Rain Man," Tom Cruise says, "All airlines have crashed at one time or another. That doesn't mean that they are not safe." Dustin Hoffman responds: "Qantas. Qantas never crashed." We're happy to report that the claim still holds up—almost. The Australian national airline holds an admirable safety record, having avoided any fatal crashes for more than 60 years. Granted, Qantas has had some lesser accidents in the last few decades, including a crash of a jumbo jet in Bangkok in 1999 that caused injuries (but not deaths), and an emergency landing of a plane in Manila in 2008 after an oxygen bottle exploded. Yet with its very long track record—it's one of the world's oldest continuously operating airlines, founded in 1920—and heavy flight schedule (4,900 flights each week), the "Flying Kangaroo" still deserves kudos for consistency.